It's getting a little tight around the neck for emerging market central bankers. On the same day that the governor of Malaysia's central bank quit, and just days after Urjit Patel, governor of the Reserve Bank of India, took the unprecedented step of writing an oped to the Federal Reserve, begging the US central bank to step tightening monetary conditions, and shrinking its balance sheet, thereby creating a global dollar shortage which has slammed emerging markets (and forced India into an unexpected rate hike overnight), Indonesia’s new central bank chief joined his Indian counterpart in calling on the Federal Reserve to be "more mindful" of the global repercussions of policy tightening amid the ongoing rout in emerging markets. As Bloomberg reports, in his first interview with international media since he took office two weeks ago, Bank Indonesia Governor Perry Warjiyo - who bears a remarkable resemblance to what Jamie Dimon would look like if he were about 40 pounds overweight - echoed what Patel said just days earlier, namely that the pace of the Fed’s balance sheet reduction was a key issue for central bankers across emerging markets. 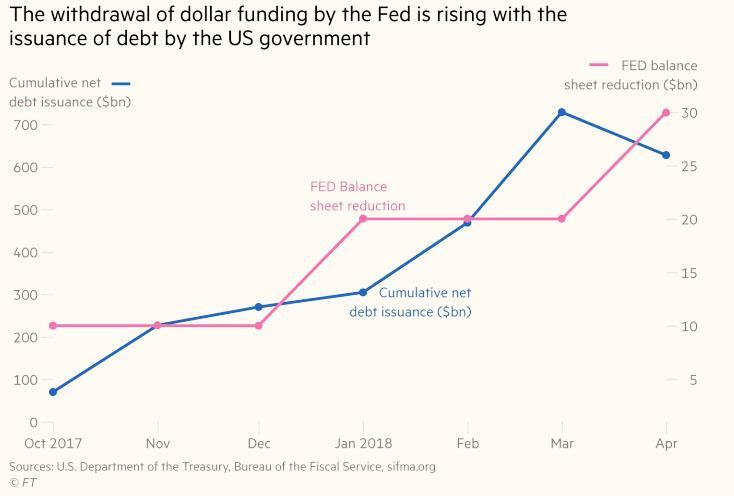 As a reminder, the RBI Governor made exactly thew same comments earlier this week, arguing that slowing the pace of stimulus withdrawal at a time when the US Treasury is doubling down on debt issuance, would support global growth, as the alternative would be an emerging markets crisis that would spill over into developed markets. In a thinly veiled warning addressing the Fed, Warjiyo said that "we know every country must decide their policy based on domestic circumstances but look, you have to take account of your actions and the impact of your actions to other countries, especially the emerging markets." Actually, no it doesn't: the only thing the Fed has to take into account is what its private owners (see "Bernanke's Former Advisor: "People Would Be Stunned To Know The Extent To Which The Fed Is Privately Owned") ask and proceed accordingly. The growing complaints from EM central bankers come at a time when the Fed continues to tighten monetary policy, and with another interest-rate hike expected next week, emerging markets across the globe are bracing for a further selloff. Bank Indonesia has already raised its key rate twice to help bolster its currency, while the Reserve Bank of India on Wednesday became the latest to move, increasing its policy rate by 25 basis points to 6.25%, surprising a majority of analysts who expected no change. Actually, here the Fed has been especially clear, often more so than the market, and unlike in 2015 and 2016, has been hiking just as often as its "dot plot" said it would. Still, Warjiyo's comments underscore the difficult policy choices central bankers are being forced to make as they try to respond to external forces driving their currencies. On Tuesday, South African central bank Governor Lesetja Kganyago said the Fed is communicating its intentions better than it did in 2013 during the taper tantrum, but its job is being complicated by U.S. fiscal policy. Unfortunately for all these central bankers, it's about to get even more difficult as policy normalization in Japan and Europe will bring more uncertainty, further monetary tightening and more outflows from emerging markets. Warjiyo said that while the “dollar is king” at the moment, it may lose that status next year. 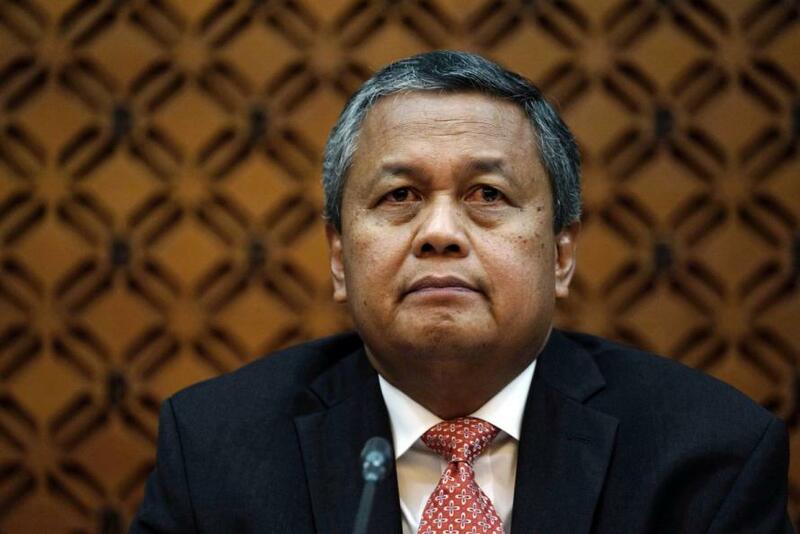 Like India, the Indonesian central bank moved decisively - and unexpectedly - to support the rupiah, holding an out-of-cycle meeting last week in which he increased the benchmark rate by 25 bps to 4.75%. The thinking goes that by pre-empting the uncertainty in financial markets, the central bank has been able to stabilize the currency, Warjiyo said on Wednesday, adding that more rate hikes are possible if financial and economic conditions warrant it. And while rate hikes are great to stabilize EM currencies and capital outflows, if only briefly, there is a just as unpleasant tradeoff: they cripple economic growth, and the result - in virtually every single case - is a recession, which sooner or later shits into capital markets.. Indeed, as Bloomberg's Garfield Reynolds writes, "India's rate hike was Asia's latest forced policy action as USD strength and Fed tightening spur emerging-market central banks to follow suit to stop FX routs. The result has been a massive surge in the average 2-year swap rate for EM Asia, and that may make conditions tight enough to hold down the region's equities relative to U.S. peers." And once enough peripheral emerging markets tumble, it is only a matter of time before the contagion spills over into the core, and - eventually - the US.